For more information about training and coaching please contact training@felton.org. We believe good treatment starts with good engagement. Therefore the best evidence in engagement strategies comes from the evidence-based practice of Motivational Interviewing. 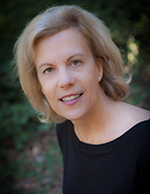 Debra Collins, LMFT, Member of Motivational Interviewing Network of Trainers (MINT), is the Coach, Trainer, and Consulting Educator for the Training and Research Division at Felton Institute. Debra draws on more than a decade of experience providing treatment, behavioral health consultation, coaching, training, and clinical supervision to primary and mental health care programs throughout the San Francisco Bay Area. Debra brings her diverse experience as a former Clinical and Program Director in community based organizations, to her approach of integrating and tailoring Motivational Interviewing and other evidence based models to best fit an organization’s model of care. In addition to helping providers (both clinical and non-clinical) best serve their clients, she also considers the challenges of managers in meeting their funding and documentation objectives. She is passionate about exploring how training can best serve those providers working with clients in community based organizations. Motivational Interviewing (MI) is often attributed as an approach used by those working in the field of addiction. However, MI has become influential in enhancing motivation and a commitment for change for those individuals seeking support from their primary, mental health, social and criminal justice service providers. Coaching is offered for all providers. The aim is to anchor classroom learning with real day to day case load experience. The emphasis in coaching is on effectively selecting and applying motivational interviewing methods to your relationships with clients. Building a community of practice allows providers to integrate an ongoing system to continually enhance their skills. The Role of Supervisors is key in the transfer of learning of any evidence-based practice, and Felton Institute aims to include supervisors in efficient ways, and their participation in the learning cycle of Motivational Interviewing and every other Felton sponsored EBP is criticial.